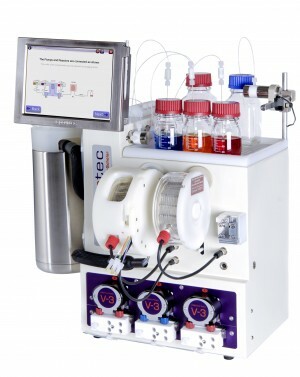 Vapourtec has recently signed a partnership agreement with Baltimore-based Stellar Scientific to distribute the SF-10 lab reagent pump across the United States. The SF-10 is a highly chemically resistant, peristaltic pump intended for general laboratory use and capable of delivering smooth flow at up to 10 bar pressure. Operating modes covered include; constant flow rate, ramping flow rate, volume dosing, pressure controller and gas delivery. 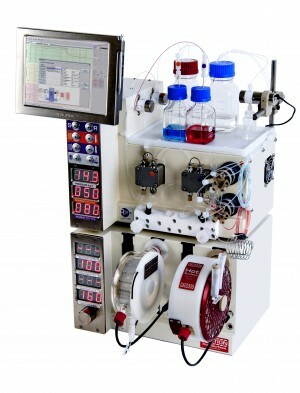 Stellar Scientific is a family-owned business founded in 2014 that markets and distributes a range of lab and scientific equipment to commercial and academic partners across the United States. Vapourtec’s Dr Hannah Chilvers commented: “Awareness of the SF-10, launched in 2017, is growing all the time and this arrangement with Stellar Scientific will only enhance that profile. 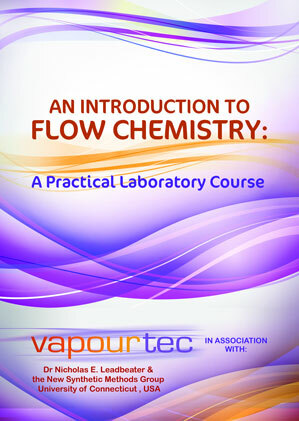 “The self-priming SF-10 delivers a high level of chemical compatibility in flow rates ranging from 0.02 mL/min to 10 mL/min. The innovative design results in versatile product that enables the pumping of media ranging from light slurries to gases,” added Hannah.